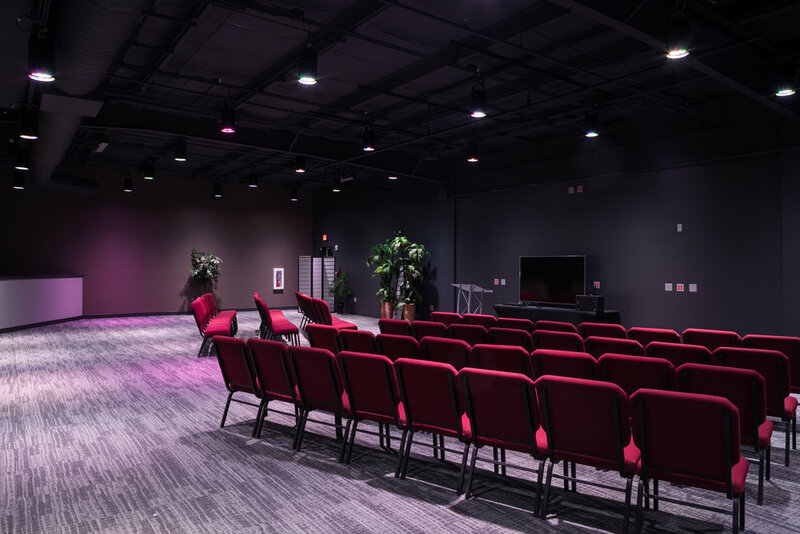 Lord of Hosts Church - located in Omaha, Nebraska, completed construction of a massive renovation and a second video venue and entry gathering space. An exterior façade renovation to this existing retail building was also part of this major project. "This project has been transformational as new life is reborn into an old retail building.” commented Brian Rathsam, the Project Architect for the project. 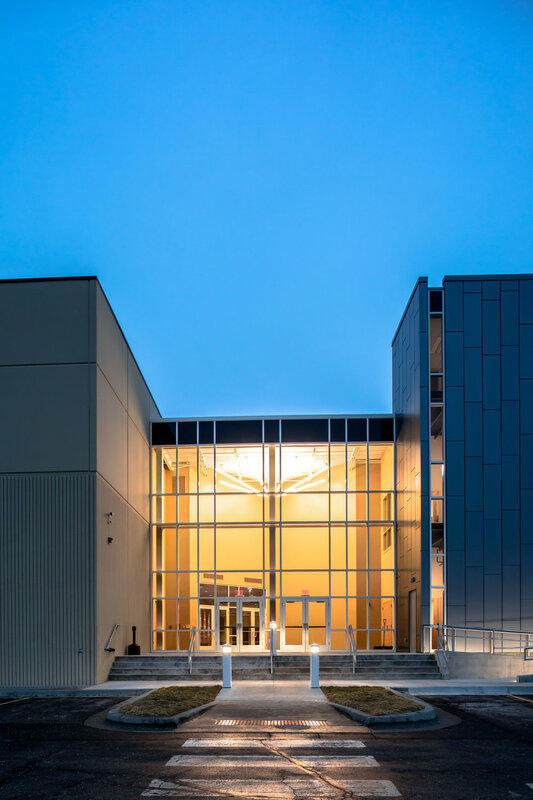 Local Omaha, NE contractor, Lund-Ross Constructors, served as the general contractor. Fellowship Bible Church - located in Murfreesboro, Tennessee, has begun design for their second phase addition, a children’s ministry building. 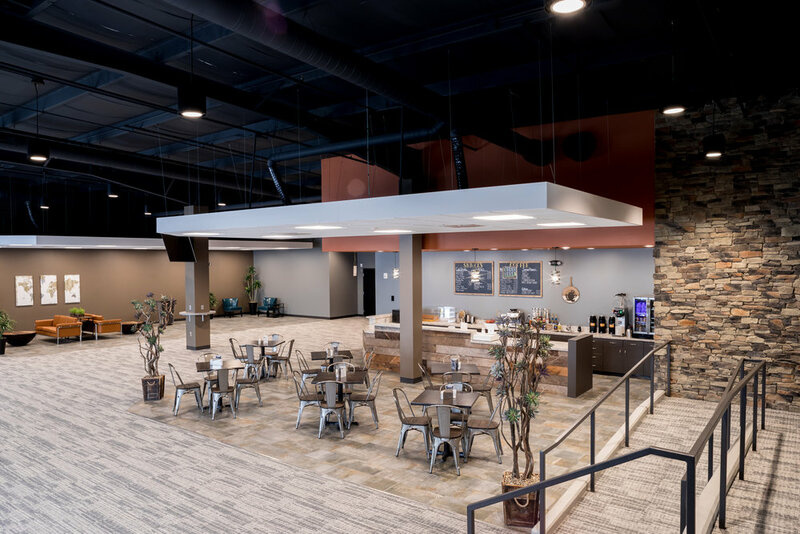 The church returned to their design-build team of Smyrna, Tennessee based contractor Dow Smith Company and Kansas City, Missouri based architect Mantel Teter to update their campus master plan, design additional children’s ministry space, student ministry space, and additional space for offices. 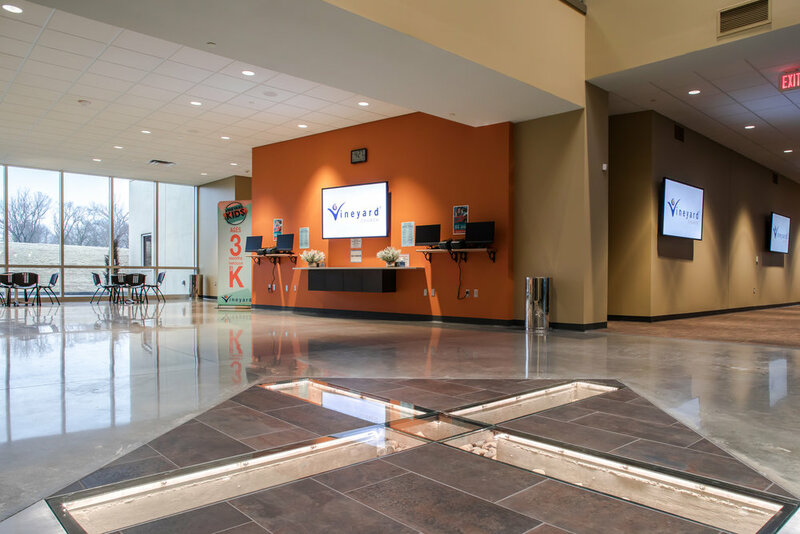 "Our team is excited to partner again with Dow Smith Company and this awesome church and to design new facilities that will position this church for continued growth in a growing area of Murfreesboro." stated David Evans, Principal for the project. 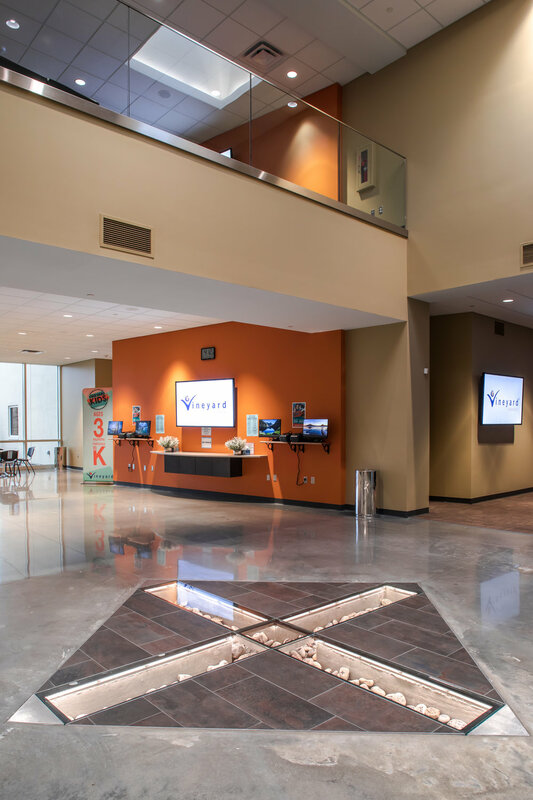 Eudora Baptist Church - located in Eudora, Kansas, recently selected Kansas City, Missouri based architect Mantel Teter to lead them through a metrics analysis, discovery and design process to update their campus master plan. Immediate facility needs include children’s ministry space, additional space for lobby & gathering, and large group multipurpose space to take pressure off the Sanctuary. "Our team is excited to partner with this church & develop an updated master plan and design new facilities to help this church impact the Kingdom." stated Brian Rathsam, Project Architect for the project. 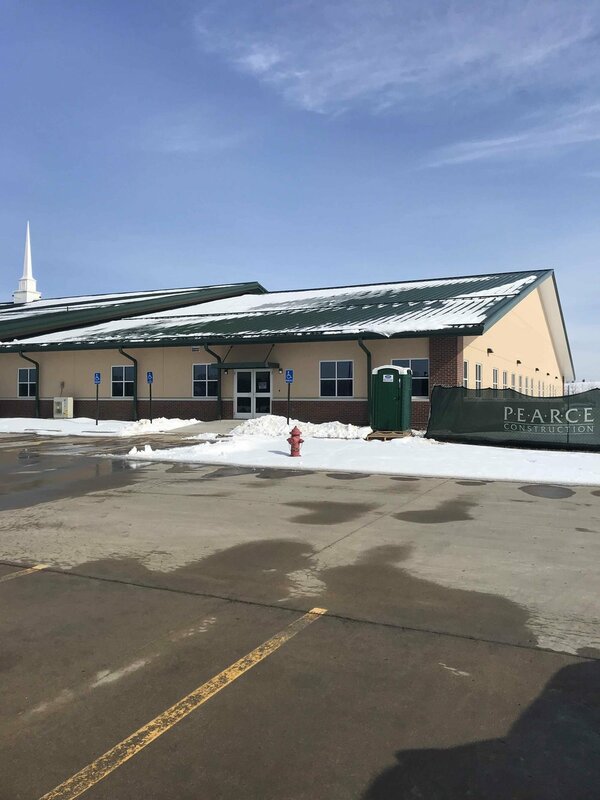 Grace Community Church - located in Smithville, Missouri, is nearing completion on their kid’s classroom expansion, while also renovating the lobby and kid’s check-in of the existing building. 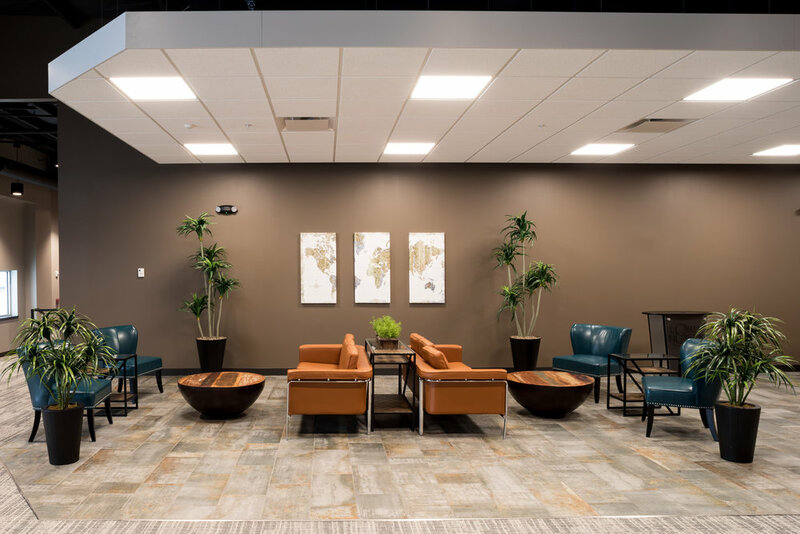 “The entire team is excited to complete construction and we’re anxious to witness the great things this new space will do for the church’s ministries.” commented Skyler Phelps, the Project Architect. Pearce Construction is serving as the general contractor. Fellowship Greenwood - located in Greenwood, Missouri, has begun construction of their new children’s ministry building and entry/atrium renovation. A brand-new parking lot expansion was just completed as well. Pearce Construction is serving as the general contractor. The project is expected to complete construction in July 2019. 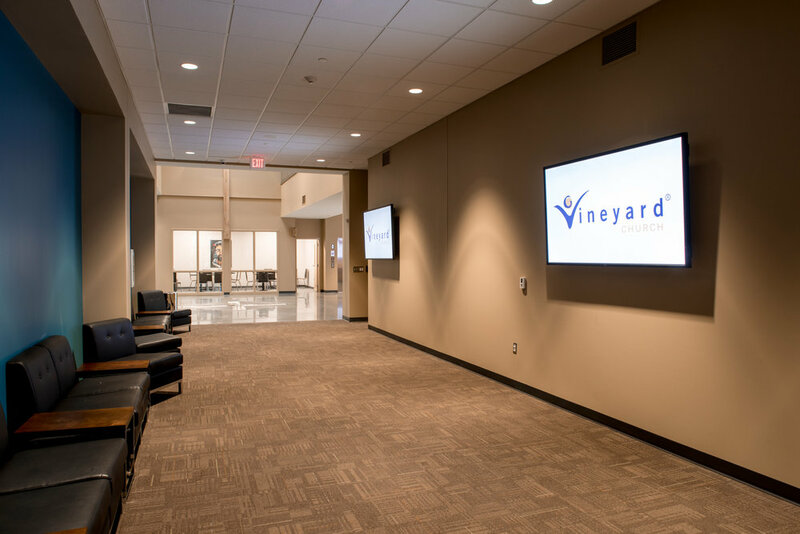 Vineyard Church - located in Kansas City, Missouri, north of the river, has completed construction of their new 2-story children’s ministry building addition. 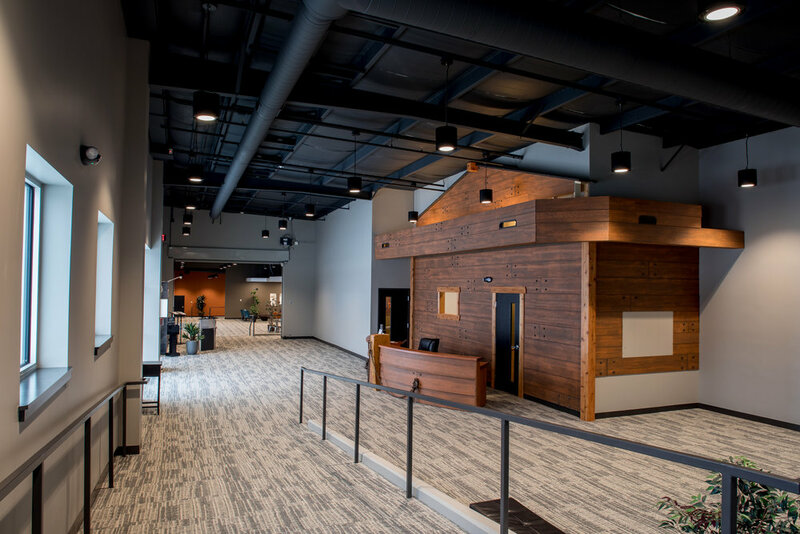 Skyler Phelps, the project architect, notes “The project was very successful, providing needed ministry space for building balance with seats in worship, while providing better security and people flow between services.” Pearce Construction served as the general contractor. Sheffield Place is a local Kansas City charity that is near and dear to our hearts. Skyler Phelps has served on the board for 12 years and is currently serving as the board President. We are honored to be apart of such a wonderful organization that is making a difference in the lives of homeless mothers and children of Kansas City. Sheffield Place has earned the coveted 4-Star rating from the independent rating agency Charity Navigator for the 3rd year in a row. The agency received a perfect score of 100 for financial health, transparency and accountability. Sheffield Place is the only Kansas City nonprofit to receive a perfect score and is one of only 67 nonprofits in the U.S. to achieve top honors. See the rating for Sheffield Place at www.charitynavigator.org. We are excited to be a small part of Sheffield Place’s incredible success and look forward to serving again this year. We invite you to join us in empowering homeless mothers and their children to heal from their trauma and help them become self-sufficient. Almost upon us, 2019 is expected to be a year of changes that will reshape--or at least refine-- houses of worship. Designers agree that the worship space should serve the church as an expression of its brand while becoming an engaging tool for its mission. Check out the latest construction progress at Grace Community Church in this drone flyover, provided by Pearce Construction. Check out the latest construction progress at Fellowship of Grace in this drone flyover provided by Pearce Construction. 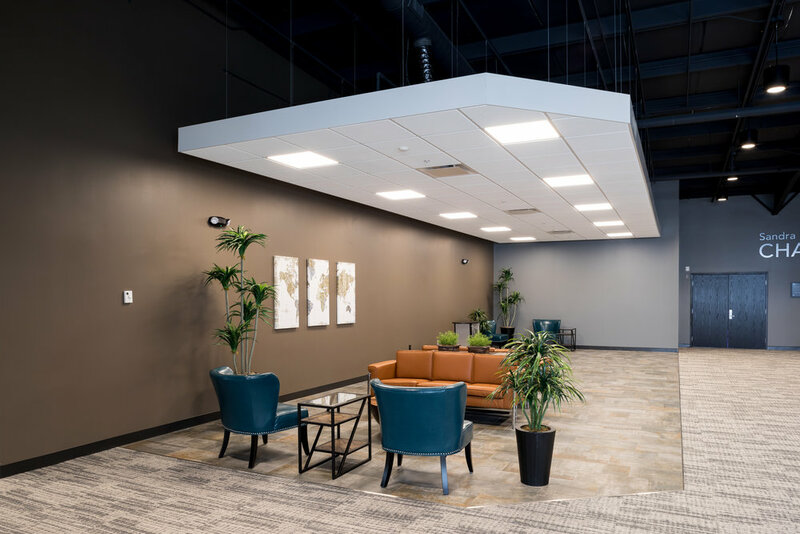 Midwestern Baptist Theological Seminary, located in Kansas City, Missouri, recently completed renovating their Trustee Building to provide improved state of the art classrooms and staff office space at the core of the seminary campus. 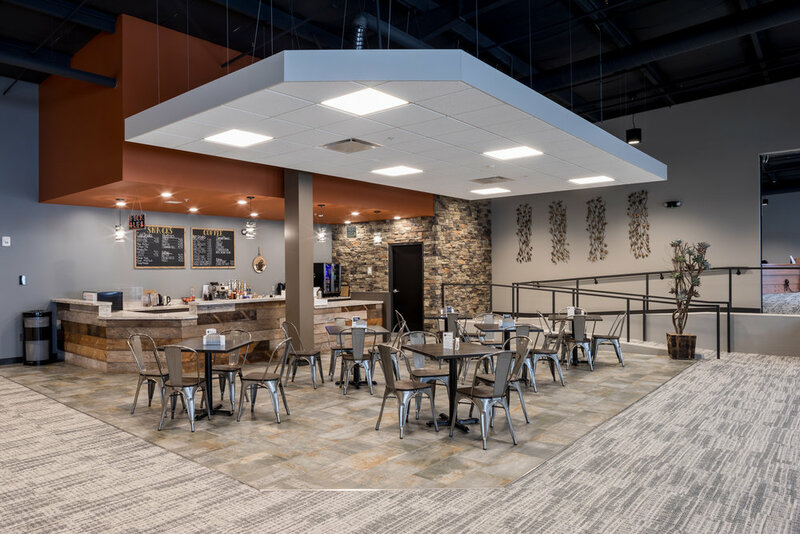 "Our team is thrilled with how the project turned out, the spaces are even more functional and relevant for their staff and students.” commented Skyler Phelps, the Project Architect. Pearce Construction served as the general contractor. Check out the latest construction progress at Mill Creek Community Church in this drone flyover provided by Pearce Construction. 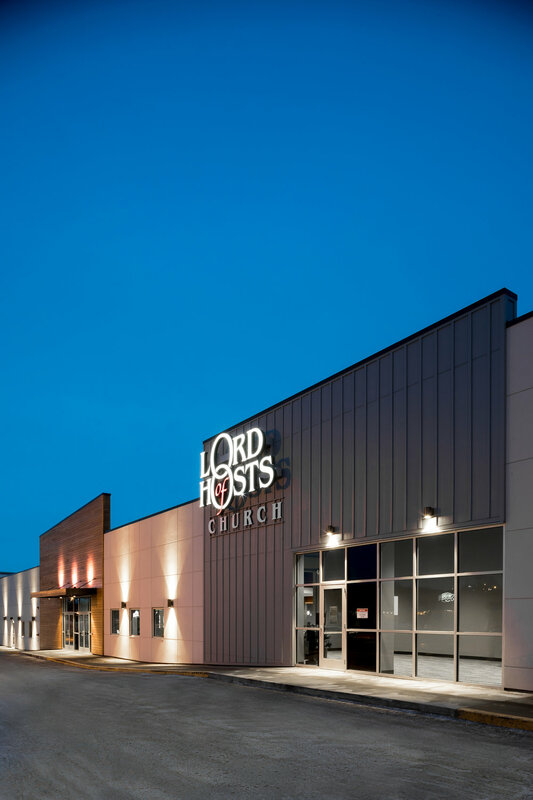 Lord of Hosts Church recently purchased a shopping center, Millard Plaza, where they had been leasing space. The project included a major upfit and update of the interior spaces and an exterior façade renovation to this existing retail building. "This project has been transformational as new life and use is reborn into an old retail building.” commented Brian Rathsam, the Project Architect for the project. On Friday October 5, 2018, the Department of Fine & Performing Arts and the Pool Art Center Gallery held an opening reception featuring works by our very own, Skyler Phelps and Brian Rathsam, along with other Drury University Alumni. Below are a few photos from the event. Our team recently had the chance to get together for a team building event at Top Golf, in Overland Park, KS. We had a great time and appreciated the golf pro who was available for some quick pointers to improve our swing. Although some of us didn’t need any pointers, particularly Skyler! Believing in what cannot be seen is a fact of life in religion. It’s also the case when it comes to acoustics, where sound interacting with the broadly variable geometry of church architecture can create anything from a heavenly aural penumbra around music to an echoic jumble around the spoken word. In the past, knowing which way it was going to turn out was often as much a gamble as it was a sure thing. 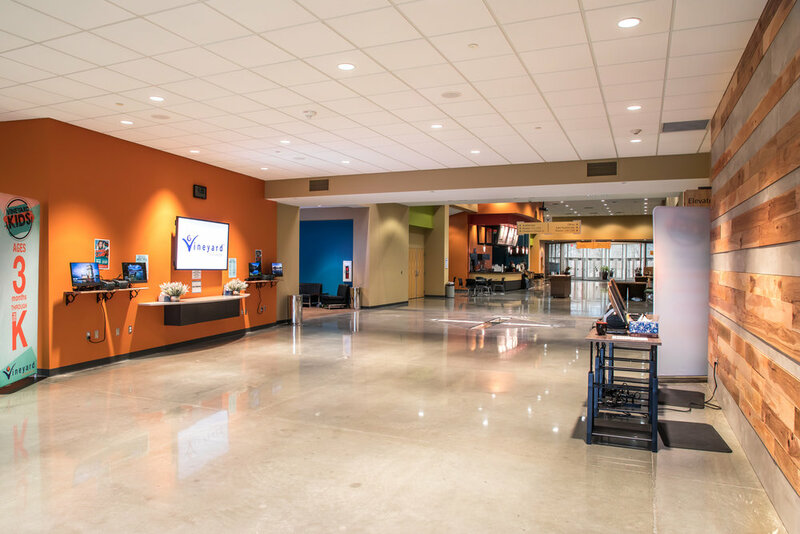 However, house-of-worship AV systems consultants and specifiers are increasingly turning to acoustical consultants and technology to help them know what a new or renovated church’s sonic future might hold. Their tools are room-simulation and acoustical-evaluation software such as CATT-Acoustic, Odeon and EASERA. 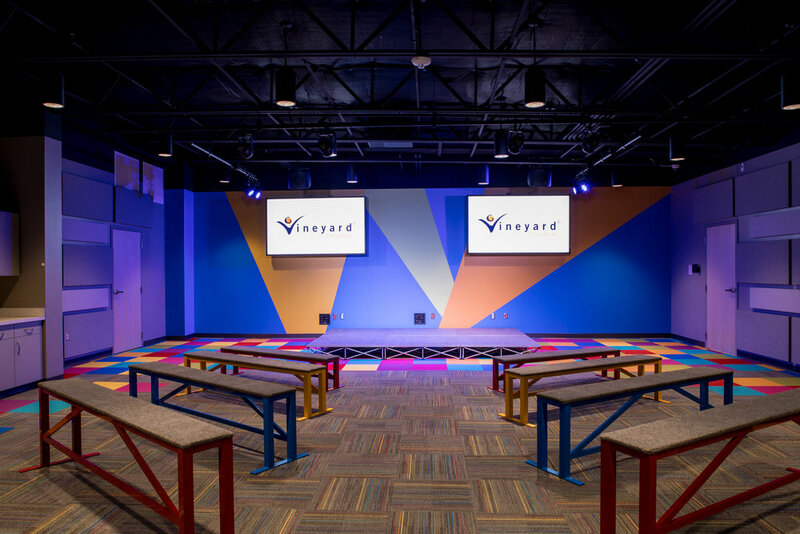 The platforms have been in use for about a decade, but their use has become much more widespread in the last several years, applied to a wider range of projects and venues, including more and more often, houses of worship. 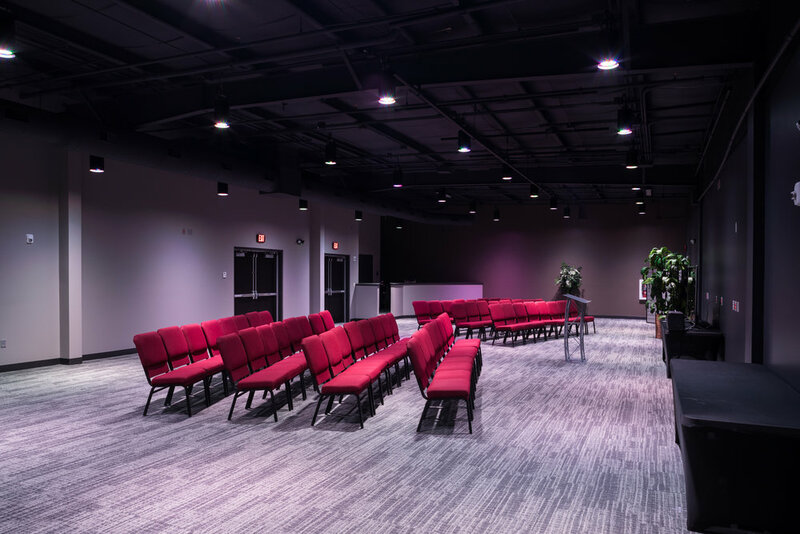 Home Church - located in Tulsa, Oklahoma, recently selected the design-build team of Dallas, Texas based contractor Goff Companies and Kansas City, Missouri based architect Mantel Teter to assist this church in their relocation to an existing vacant retail big-box. 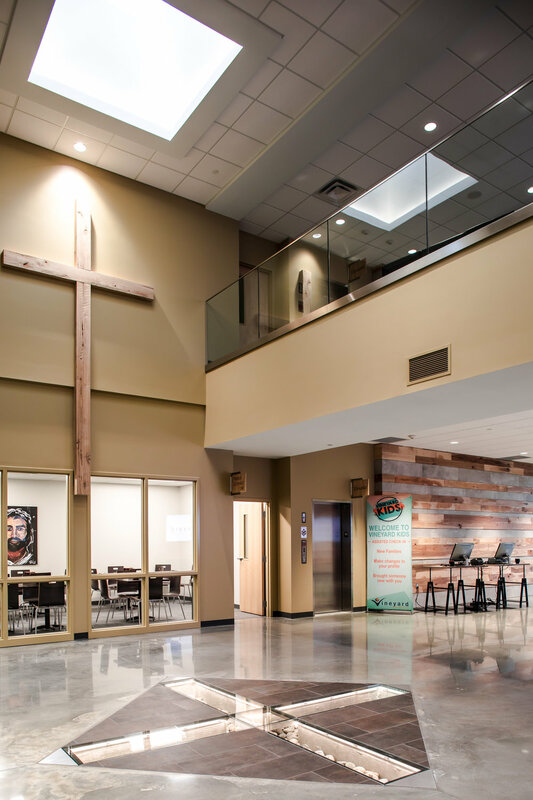 Immediate facility needs include an expandable worship space, atrium/lobby, children’s ministry space, student ministry space, and space for offices. "Our team is excited to partner with Goff Companies and Home Church to design renovated facilities to further this church’s mission." stated David Evans, President of Mantel Teter and Principal for the project. The purpose of the event is to develop Great Commission momentum in your church. Your team will experience the foundations of Intentional GrowthPlanning and leave with a clear vision and action plan to double your Kingdom impact. The workshop will be led by an experienced Intentional Churches facilitator alongside two additional Intentional Churches coaches who assist during the event. The facilitators and coaches use Intentional GrowthPlanning to grow their church and coach and train other churches to do the same. This has to be my most frequently asked question during a design process with our clients… “how can we keep our building from looking dated in 10, 15, 20 years”? My first response is always “you can’t.” Design trends come and go. What is popular today may not be tomorrow. Unfortunately, for most of our clients, the ability and funds to change their space like owners of hospitality spaces do, is not possible. They cannot switch carpet and countertops every five years. So, the trick is to find little ways to maximize not only the money spent, but the years in which our products will last. The good news for our clients is that there are several ways we can achieve a “timeless” look and beat those fleeting design trends. 1. Stay as neutral as possible with your most expensive and longest lasting materials. For example, don’t pick red carpet, blue countertops or overly trendy-looking tile. Instead, let your paint and accent colors be the trend. Green is very in right now. Paint a wall or two in your lobby green and the rest can stay very neutral. Paint is easy and inexpensive to change, especially if it’s just one wall.